Yes, yes, it's another moss photo - but all by itself, no 5-day series - promise (envision a teeny, tiny rainbow to add credibility). 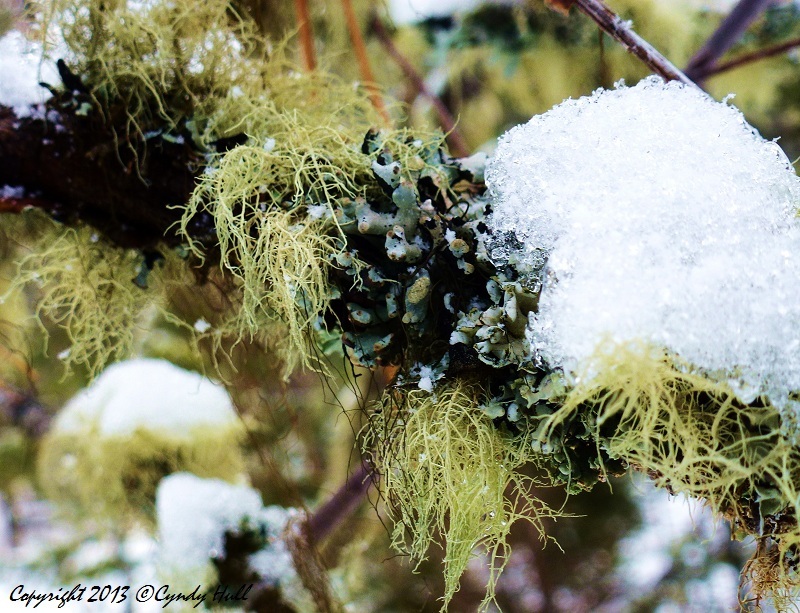 Semi-huffing and puffing up the trail at Crazy Creek, I noticed this tufty, Dr.Seuss-ish moss all over the place. I realized that, a week earlier, I hadn’t seen any of this variety just a few miles up the road at Pattee Canyon. On my descent, a fellow hiker and his dog passed me (neither of them remotely huffing or puffing) but then stopped to ask what picture subject required overhead hyper-extension of my arms. This led to a conversation about the hanging moss, and my observant and well-hiked trail companion (the two-legged one) explained that Pattee Canyon used to be rife with even longer versions of the stuff until recent years. He’d encountered people picking the moss into big bags one season, and speculated that collectors had simply over-harvested or perhaps disturbed the balance of the growth cycle. That must have been the year moss crafts were all the rage. Gotta have that faux topiary. Because, when you think about it, nothing says class like indigenous moss hot-glued to a Styrofoam ball and skewered atop a homegrown stick.